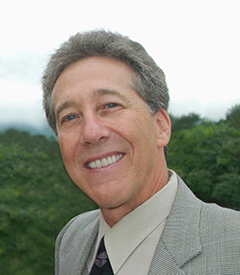 Mr. Davison has practiced as a benefit consultant in Colorado since 1990. His business, Foundation Financial Inc. focuses primarily on individuals and small business needs for insurance and investments. The products offered are health, life, business overhead, disability income, life ancillary and LTC insurance. He has been licensed in Health, Life since 1990, NASD Registered Representative since 1994 and Property Casualty lines since 1997. Foundation Financial also offers individual and corporate retirement and investment planning through qualified retirement plans such as SEP and 401K. By brokering quality-oriented companies, our mission is to shop the market and continue to grow by providing the most innovative products to suit our growing clientele. The current client base includes over 80 small business and 500 families which generates revenues over $1.75 million in gross annual sales. Mr. Davison is member of The National Association of Health Underwriters a supporter of The Boulder Area Chamber of Commerce. A long term commitment and history for community support and volunteering includes Boulder County Open Space, Collage Children’s Museum, National Sports Center for The Disabled, Community Food Share, Blue Sky Bridge, Dental Aid and Compass House. a solicitation or an offer to sell product in any state besides those in which Michael E. Davison is properly licensed.